The Red Bull Bedroom Jam is back for a second round in India. The initiative aims to give four “bedroom bands” the opportunity to perform at some of the most well-known rock music festivals in the country. In addition to that, each winning band will also get a brand new music video shot in their bedrooms by production house Jack in the Box. The winners of the first edition of the Red Bull Bedroom Jam in India (2010) were Blakc (Mumbai), Noiseware (Pune), Inner Sanctum (Bangalore), and Colossal Figures (Delhi). They received performance slots at festivals such as Great Indian Rock, Bacardi NH7 Weekender, and other college festivals. 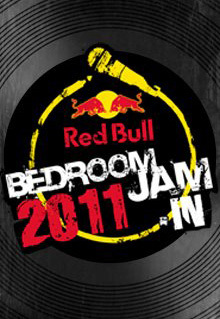 If you’re in a band and want to be a part of the Red Bull Bedroom Jam 2011, visit the official web site and upload your home-produced music video. Winners will be picked on the basis of fan votes on the web site. Eight bands will be shortlisted to perform live, opening for some of the biggest acts in the country, out of which four bands will be selected as winners. The last date for submission of videos is November 20, 2011. You can visit the Red Bull Bedroom Jam Facebook page at this location.